Hina Dilpazeer is a Pakistani actress, comedian, singer, television presenter, and director. She is best known for her portrayal of Momo in the comedy sitcom Bulbulay on ARY Digital. Bulbulay became one of the most watched comedy dramas in Pakistan due to her performance. Her other notable performances include: Mitthu in Mitthu Aur Aapa, Shakooran in Quddusi Sahab Ki Bewah and Saeeda in Burns Road Ki Nilofar. She won Best Female Actor in a Supporting Role at Kara Film Festival for her work in Burns Road Ki Nilofar. 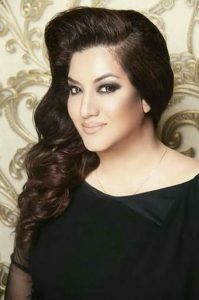 Born Hina Dilpazir Khan on January 16, 1969 in Karachi, Pakistan, to a Muslim family, she completed her early education in Karachi, and was relocated to UAE with her family because of her father’s job. After returning to Pakistan, she started her career in the Pakistani TV industry in 2006. She is married to Ahmed Ali. She completed her early education in Karachi. *She was born on January 16, 1969 in Karachi, Pakistan. *She made her acting debut in 2006. *She enjoys poetry and music and adores Roshan Ara Begum, Master Madan, Bade Ghulam Ali Khan and Begum Akhtar.